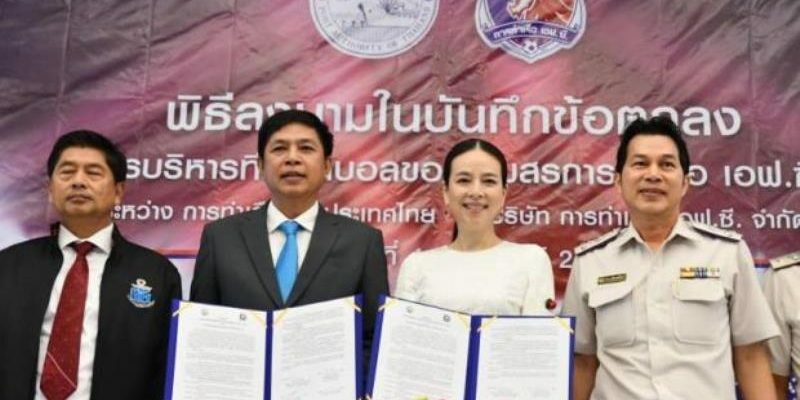 BANGKOK (6 Feb 2019) – Nualphan Lamsam will continue to head Port FC for the Thai League 1 following the MoU that was signed this week with the Port Authority of Thailand (PAT). Nuaphan is the chairperson of Port FC. “The PAT have been supporting sporting activities in the country continuously.These include sepak takraw, Futsal and football,” said Pol Sub Lt Montree Lergchumniel, acting director of the PAT. Added Nualphan: “Since Port FC Co took over the management of the club in 2015, the team’s results have improved.